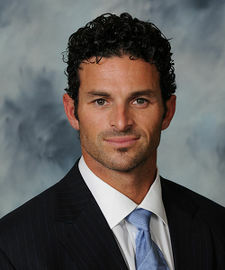 Craig Castleman Greene (born November 17, 1974) is an orthopedic surgeon in the capital city of Baton Rouge, Louisiana, who is a Republican member of the five-person Louisiana Public Service Commission, which regulates the amount that utility companies can charge consumers in Louisiana. Greene's District 2 encompasses thirteen parishes from Baton Rouge west to Lafayette. Greene's middle name is the same as his mother's maiden name. He is the second of five sons of Cathy Castleman Greene and Thomas Alan "Tom" Greene (born 1948), a veterinarian and a former Democrat-turned-Republican member of the Louisiana State Senate. Tom Greene gave up his Senate seat to run unsuccessfully for governor of Louisiana in 1999 against Republican Mike Foster, who was elected to his second term. Dr. Greene and his brothers were reared in Maringouin, a small town in Iberville Parish near Baton Rouge. Greene received his undergraduate degree from Louisiana State University and played on The Tigers football team. He obtained his medical degree from the LSU Health Science Center in New Orleans and did his residency at Scott and White Hospital in Temple, Texas. From 1993 to 1995, when his father was a senator, Greene was the chief page of the Louisiana State Senate. Greene is the current chief of orthopedic surgery at the Surgical Specialty Center. He was formerly the chief of surgery at Our Lady Of The Lake Regional Medical Center in Baton Rouge and a clinical assistant professor of orthopedic surgery at LSU Health Science Center in New Orleans. He is also a member of the United States Navy Reserve. Greene and his wife, the former Kristen Hadley, have four children. They attend the Healing Place Church in Baton Rouge. In 2016, he took his daughter on a medical mission trip to Honduras. In 2010, Dr. Greemne organized a relief effort in Columbia, Nepal, and Haiti which dispatched twelve medical teams to these areas to assist victims of an earthquake. Considered to be a Moderate Republican, Greene endorsed former Lieutenant Governor Jay Dardenne of Baton Rouge, another Moderate Republican who ran for governor in 2015. When Dardenne was eliminated from further contention after the gubernatorial primary, Greene, like Dardenne, switched backing to the Democrat John Bel Edwards, who defeated then U.S. Senator David Vitter, a Republican, in a bitter gubernatorial runoff contest. Greene said that he had "personal issues" regarding Vitter but indicated he is open to supporting a Republican for governor in 2019 to run against Edwards. Greene has also had close ties to Donald T. "Boysie" Bollinger, the Lockport shipbuilder who is a long-term donor to Republican candidates and causes. In the special election held on October 14, 2017, to choose a successor to PSC member Scott Angelle, who joined the Donald Trump administration,. Greene, a first-time candidate, won the race outright. He defeated two former state legislators who ran against each other in 2011. Damon J. Baldone, another Democrat-turned-Republican, was the interim commissioner who had served since June 2017 under appointment from Governor John Bel Edwards. Baldone finished second to Greene; in third place was the former one-term conservative Republican state representative, Lenar Whitney, who had unseated Baldone in the 2011 legislative race, only to lose herself in 2015. Greene received exactly 43,000 votes (55 percent) to Baldone's 19,058 (24 percent), and Whitney's 16,207 (21 percent). The race brought only 12.5 percent of registered votes to the polls. Greene is a candidate for a full term on the PSC in the November 6 nonpartisan blanket primary which corresponds with congressional races. ↑ Craig Greene, November 1974. Louisiana Secretary of State. Retrieved on October 16, 2017. ↑ 2.0 2.1 Craig Castleman Greene. craiggreene.com. Retrieved on October 15, 2017. ↑ Dionne Johnson (Octrober 14, 2017). Baton Rouge surgeon, Dr. Craig Greene, elected as Public Service Commissioner. KLFY.com. Retrieved on October 15, 2017. ↑ Mark Ballard (October 14, 2017). Dr. Craig Greene wins Public Service Commission race outright. The Baton Rouge Advocate. Retrieved on October 15, 2017. ↑ Election Results. Louisiana Secretary of State. Retrieved on October 15, 2017. ↑ Mark Ballard (July 18, 2018). Candidates for Louisiana Secretary of State, Congress begin to qualify for fall elections. The Baton Rouge Advocate. This page was last modified on 18 December 2018, at 22:40.